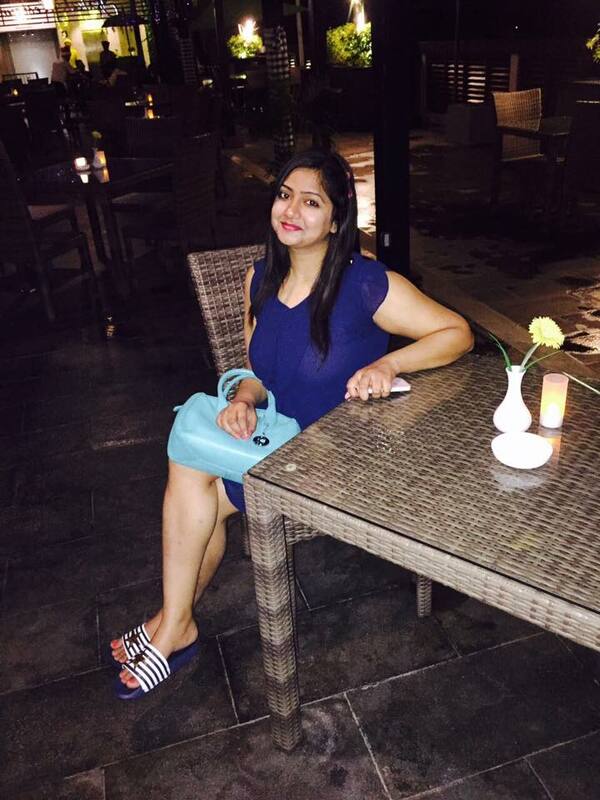 I am a travel buff and love to explore the world around to create memories in beautiful places and then share those interesting stories with everyone. Today I am going to share my Bali travelling experience with you all. Nothing makes me more happy than travelling. Travelling gives me a break from monotonous life and connect with myself better. So planning a trip to Bali was an exciting experience as this was my first international trip and Bali was always in my travel bucket list. I was saving money for this trip from so long. After booking our Bali package with flight tickets and hotel, I packed my bag with all the travel essentials and I was ready to go. Just the thoughts of imagining myself in Bali gave me thrills. My itinerary was already planned by the travel agent but I still browsed the best places to visit to Bali. I did not want to miss anything there. Going to the Airport, getting all check-in formalities done and then finally boarding our flight made me feel relaxed. We were all set on our journey to Bali. We boarded flight from IGI Airport and then after 5 hours there was one stop over at Kuala Lumpur. After an hour again we boarded our flight to Bali. Finally we reached Denpasar Bali Airport. After all the formalities at Airport, we were ready to see the scenic beauty of Bali. The Airport was beautiful too, we could see much greenary and artwork around. We already booked for Hotel transfer vehicle and our driver and guide were waiting for us with a placard which had my name on it. I was so happy to see that as this was the first time I experienced something like this. Our guide and driver were really friendly people and answered all our questions on our way to Hotel. On the way to our hotel, I had seen a glimpse of the beauty of Bali and could believe that there is so much more to it to explore in the coming days. We finally reached our luxury hotel in Nusa Dua. After a warm welcome we received from the hotel staff, we checked in to our room and rested for a while. I was damn tired after 8 hours of journey but I was happy too. The excitement in me did not allow me to sleep for more than 2 hours and we were up in evening, fresh and ready again to see what little we could see on that half left day with us. We booked a cab and went to the nearby famous Indian restaurant- Indian Bali Dhaba Restaurant. The ambiance was amazing, light music was playing in the background, and we could see many Indian families dining there. The weather was my favourite kind too. 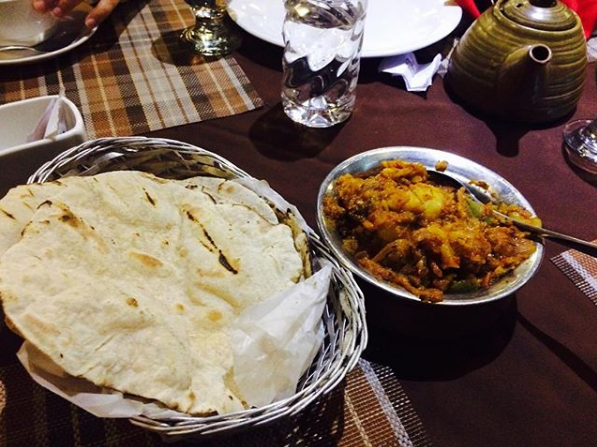 We ordered our favourite North Indian cuisine, Aloo Gobhi with some rotis and ginger tea ( for which we were craving from last 12 hours). The food was delicious and was prepared with the choicest of ingredients. After that we clicked some pictures, bought some fruits and eatables from market ( just in case we feel hungry at night :D). We headed to our hotel and then explored the infinity pool and a cool cafe where we had shakes and Ice Tea. The shakes were so refreshing that we instantly became fan of these shakes and made sure that we have these shakes everyday till our stay in that hotel. We had a little chit-chat with the ever-smiling guy who made these shakes. We asked him about the best places to visit in Bali. Then we headed back to our room and talked about our lovely day and were so much enthusiastic to explore the beauty of Bali next day. Then we drop off to slumber on our cozy bed. Read my next post to know about Day 2 in Bali.